I believe a girl should eat her veggies and have her meatballs, too. 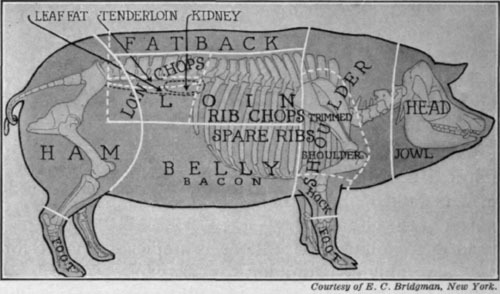 This is not a post about the importance of eating local pasture-raised, grass-fed meat. This is just a post about tonight’s dinner. I had a friend visiting from out of town and we had a summer feast of meatballs, veggie stir fry, brown rice and a sunflower sprout/sauerkraut salad, followed by candy cap ice cream. The best part of this meal was sharing it with someone. It’s always good to have an “outsider” around because it reminds me how abnormal daily life is for a locavore. After my mom’s visit this weekend I was stunned by how much more garbage is produced by packaged products. Most of my waste is compost, so I rarely have to empty my trash. Living and breathing this project every day makes it easy to lose touch with how most of the world relates to their food, and having others in the kitchen is a really good mirror to reflect on the project. After a big meal and a long thoughtful conversation about what eating local really means to me, I don’t have the energy to tackle the dishes nor share the dinnertime wisdom, so I’ll just leave you with a snapshot of a delicious meal and say goodnight for now and I hope this finds you with full bellies. 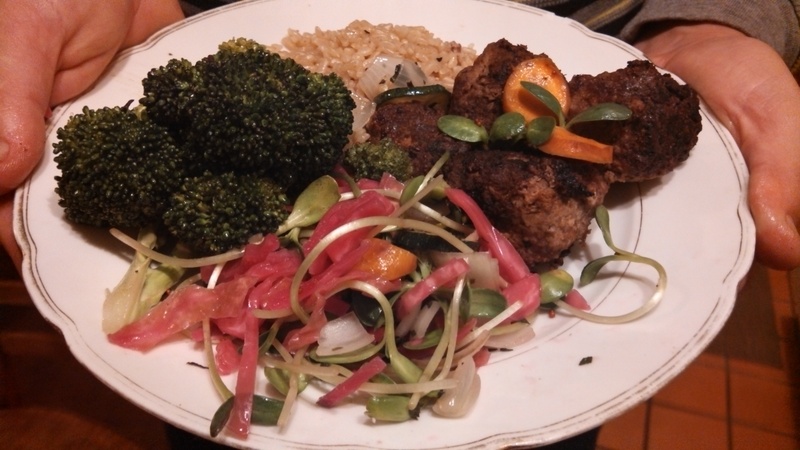 Categories: Cooking | Tags: dinner, meatball, monday, sauerkraut, stir-fry, sunflower sprouts | Permalink. Even at breakfast time, I’m salivating over that scrumptious salad. I am so inspired and fascinated by the project you have taken on. And I eagerly look forward to the daily report. Just wondering – rice? in Mendocino? I’m really inspired by your daily blogging. Thanks for taking the time and effort. A little food-for-thought gift, literally and figuratively, in my in-box each day.